Designs will be emailed to your paypal email address after paypal payment. We currently accept all credit cards. 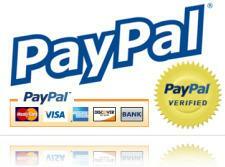 through paypal. This is gorgeous collection. You wont be disappointed. Please choose a format of your choice during checkout. All designs are available in the formats listed above. Don't miss this beautiful collection. Your Satisfaction is must. Once payment is received, Embroidery designs will be emailed to you. FREE EMAIL DELIVERY ! Please don't forget to check out other awesome beautiful collections. You can browse by categories listed on upper right corner of this page or Some of the collections are listed below. Happy Shopping !